This is related to the speed and amount of fluid removed from your blood. Giving you some intravenous fluids can easily reverse this. Symptoms can vary. Tell the nurse if you experience dizziness, nausea, cramps in legs or any ‘funny feeling’. The best way to prevent this is for you to stick to the fluid restrictions that are set for you so that you avoid gaining too much fluid/weight between dialysis sessions. Between sessions, patients can some times develop a condition called fluid overload. This is due to excess fluid building up in your body. Fluid overload can be mild and manifest itself as swollen ankles, or high blood pressure, or severe breathlessness. Constantly becoming fluid overloaded is not good for you, as it causes the blood pressure to rise and eventually damage the heart. 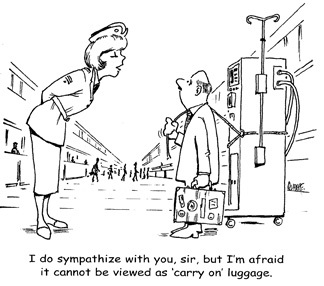 If you think you are overloaded, contact the dialysis unit to organise extra dialysis to remove the fluid. If you are breathless or unwell, do not delay in contacting the dialysis unit. After dialysis, the needles will be removed from your fistula or graft. Your nurse will take every care to ensure that bleeding has stopped before you leave the unit. If you should develop further bleeding, from your access site, apply a dry dressing to the site, apply gentle pressure to the area, and return to the unit immediately. If possible, call the unit to let them know. See information in Chapter 8. In medical terms, this is known as hyperkalaemia. 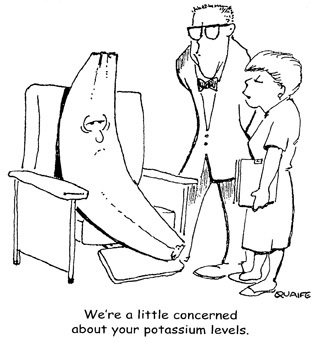 This means that there is too much potassium in the blood. This can be dangerous and life-threatening. High potassium can affect the muscles of the body including the heart, which could stop beating. By sticking to the diet, that the dietician has prescribed for you, you can avoid this serious complication. (For further information see section on diet). When you commence dialysis it is essential that you continue to get your dialysis treatment for the rest of your life or until you receive a kidney transplant. This does not mean that you cannot continue to take a holiday. You will still be able to take a holiday within Ireland and abroad. This will require prior planning so that you can receive your dialysis while you are away. Your dialysis Nurse/Patient Care Co-ordinator will help you to make arrangements and identify a suitable dialysis unit close to your holiday destination. They will send the necessary information to the unit, prior to your journey. This will include a recent Hepatitis B + C blood level and HIV level. There may be a charge for holiday dialysis. This can be discussed further prior to your holiday. It is essential that a minimum of two months notice is given to staff prior to your travel. The Irish Kidney Association also provide respite holidays for patients on dialysis and patients with a kidney transplant. These holidays are available in the form of holiday homes in Tramore, Co. Waterford and Tralee, Co. Kerry. Please speak to the staff in your unit, who will give you further details. On your return from holidays, it will be necessary to obtain further Hepatitis blood levels. This will need to be checked once a month for three months. If you are away, for more than 14 days, on return to Beamont Hospital you may need to have dialysis in isolation until the blood results become available.